Generators can run into a lot of money if you purchase one with a lot of features and gadgets, but you can still find one that is able to do a lot of things and offer many accessories for a reasonable price. 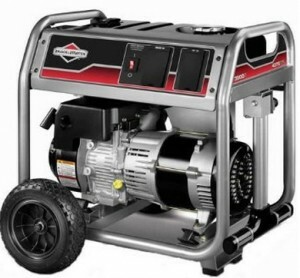 Some of the best generators under $500 can be found online and at your local hardware store. Here are a few to consider, they are chosen based on value for money, performance and reliability. 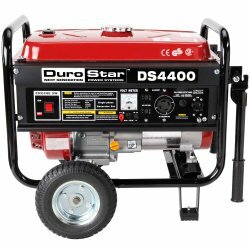 This Durostar DS4400 Gas Powered Portable Generator has a quiet exhaust rated at 69 dba with a spark arrestor and it comes with a 7 hp air cooled engine. It has a low oil shut down that preserves the life of the engine. It is car approved and is sold in all 50 states. It has multiple accessories including a twistlock outlet, two 120 volt 20 amp three prong outlet, and a 120/240 volt 30 amp outlet. It runs on 3,500 watts rated and 4,000 watts surge. It costs about $400 online and makes this item one of the best generators under $500 on the market. It received 4.5 stars from Amazon reviewers. 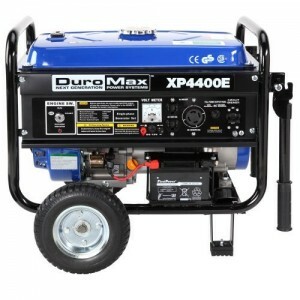 This DuroMax XP4400E Gas Powered Portable Generator is EPA approved yet non carb compliant and not sold in the state of California.It costs about $450 and earned 4 stars from more than 150 Amazon reviewers. It runs on 3,500 watts continuous and 4,400 watts surge. It has a 7 hp OHV 4 cycle engine and comes with a one year limited warranty. It has a 15 amp circuit breaker and a battery with a charger along with an indicator light when the battery is running low. There are never go flat tires for easy portability. It weighs about 116 pounds and comes with a four gallon capacity of fuel. It can run up to 8 hours on half load and gas an electrically key start. There is also a volt meter to prevent overloading. 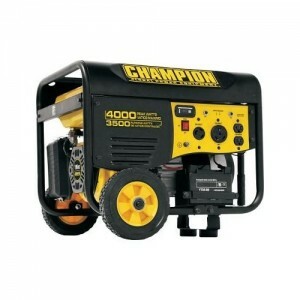 This Champion Power Equipment 46539 Gas Powered Portable Generator comes with a wireless remote control and an electric start. It is EPA approved and carb complaint, making it available in the state of California. It has a cast iron sleeve to help preserve the life of the engine and a 196cc OHV engine. It can run up to 12 hours on 50 percent load and weighs about 140 pounds. There is a low oil sensor to prevent engine burn out. A wheel kit is included with its 8 inch wheels. It runs on 3,500 watts rated and 4,000 watts surge. Other items that come with this generator that makes it one of the best generators under $500 are one 120 volt twistlock, one 120 volt duplex outlet, and one RV receptacle. This item costs just under $500 online and earned 4.5 stars from 80 amazon reviewers. These are all among some of the best generators under $500 that you could buy. Determine what you are looking for in a generator to decide which one will best fit your needs. They are all from reliable brands that have made a name for themselves for having high quality products.